In Google Drive, is there a way to search files located in a particular folder? In Google Drive, is there a way to search only the contents of files within a particular folder (instead of files within the entire drive, as is the default)? Google just announced that now they included a the search within folder feature. Click the File Picker folder icon on the right side of screen. Navigate to the specific folder that you want to search. Your search results will only come from the folder you selected. Note: you can still filter by file type in the File Picker search bar by clicking the drop down arrow. Simply star the folders or particular files that you wish to search and then search "is:starred". Unstar them once you want to search something else. It's a little impractical, but it's what I do to search my journal articles, 1000s of which I've stored on my Drive. A time-consuming work around, which isn't so painful if there are just a few folders you want to search, is to share those folders with other Google accounts, and then include to: thatgoogleaccount@example.com in your search. The script in user165768's answer also works. It asks you to share a scary bunch of permissions, so you may want to look at the code at https://github.com/ljv5555/drive-folder-search/tree/gh-pages/app to reassure yourself, and possibly make your own copy. I wrote an app to search by folder (within file contents). It is a bit slow so be patient when it is loading. This tool will help you to search within Google Drive Folders. In addition to that, the tool provides additional features such as filters or custom metadata. I don't think there is such a feature available in Google Drive yet, but you can do a workaround. If you do not intend to search for files recursively, simply just open the folder you want to search in and use the browser function (Ctrl+F) to search the name of your desired file. Of course using this method you can't search within the file itself for text matches. There is another workaround that does not require any third party app or extension. One solution: gdrive, which is a CLI for Google Drive. gdrive list -q "'folderID' in parents"
gdrive allows you to use all the search capabilities of the API which are far more robust than the GUI. However, this doesn't seem to be recursive, i.e., it only finds direct children of the given folder, not anything deeper. What's interesting, and worth exploring, is that if I use a folderID and search from the GUI like "in:0B1FVU07aR9pFcDhFbUdkdhF9Oam8" then Google Drive shows the correct name of the folder almost like a filter in the GUI! Maybe someone can figure out a way to get this to work as expected. Search within a folder is now available as of January 2018. You can right-click on a folder name and Select 🔍 Search within folder_name and it'll let you do so from the search bar of Google drive. If you want to search for text inside the files, you could search your drive for the text, then use (Ctrl+F) to search for the folder name. A little messy, though, and again, not recursive! This is somewhat inconsistent though. 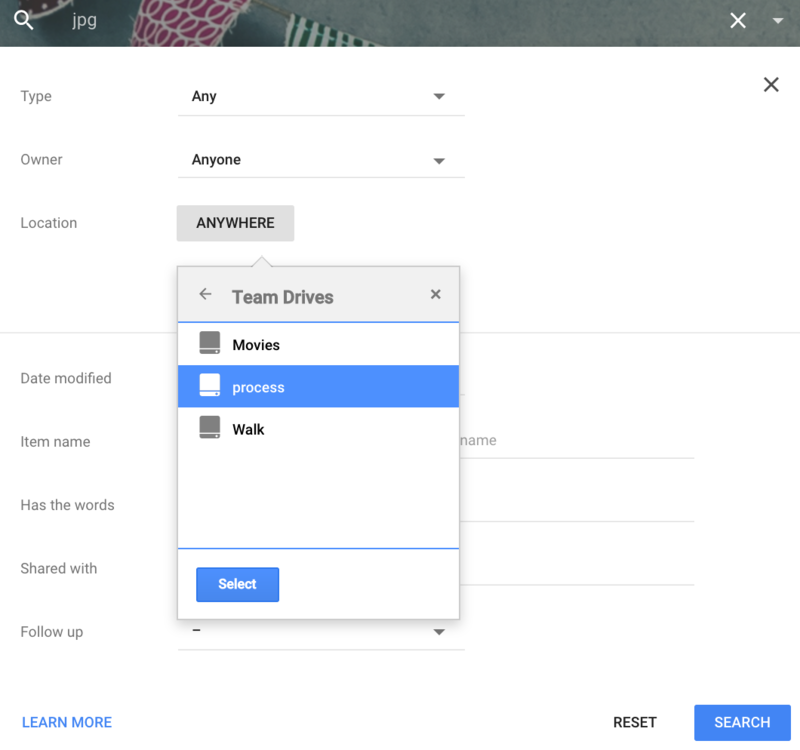 Another solution – if you have a G Suite account – is to use a Team Drive. You can create a new Team Drive, not share it with anyone, and move folders into it. Then you can narrow your search to only the Team Drive. Can I duplicate a folder in Google Drive? How (can?) you search the Google Trash for a particular folder that was deleted? What's the best way to take ownership of a personal non-GSuite Google Drive folder?